Beautiful pink plumeria bouquet. One of my favorites! 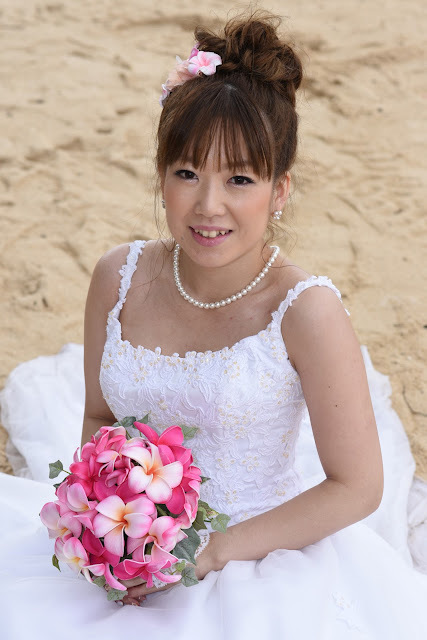 Japanese Bride "Keiko" at Waimanalo Beach on VALENTINE'S DAY 2019.